The 3121 fragrance: maybe Prince should have called it Controversy? Perfume manufacturer Revelations is reported to be suing Prince for $100,000, alleging that he breached a contract to promote his own fragrance collection. 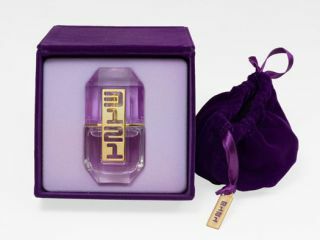 The 3121 scent was named after his 2006 album, and is said to be "Xquisite, Mysterious and Xotic". However, Prince now stands accused of not supporting the product, and may be forced to 'Xplain' why. "Since July 2007, despite repeated attempts by Revelations there have been virtually no communications from anyone who could commit to or coordinate any promotional efforts by Prince," says the perfume company. It seems that Prince sees things rather differently, though, as a statement from his publishing company Universal Music Publishing says: "Although we have not seen the complaint, we are familiar with the claims being asserted by Revelations, and they are completely without merit." Earlier this month, Prince was forced to pay $58,000 to a video editor who claimed that the star owed him money.